According to TechTarget’s definition, a “laboratory information system (LIS) is computer software that processes, stores and manages data from all stages of medical processes and tests.” While the definition may sound generic, LIS systems are critical to today’s laboratories as they are essentially the nucleus of all data, tests, procedures, and processes within the laboratory. Without an LIS that’s properly integrated across all other lab systems, information is siloed and processes are uncontrolled. Labs, like all other kinds of businesses, have to maintain a competitive edge in order to keep up with the evolving world of healthcare. If a lab doesn’t provide referring physicians or end patients with accurate and timely information, then they risk losing business to others in the market. In fact, according to the article, the Laboratory Information System Market stands to reach over $2 Billion by 2019 in the United States alone. That’s a whopping number, and a 7.70% increase during the period from 2013 and 2019, according to research conducted by Transparency Market Research (TMR). Why is the LIS Market Growing so Rapidly? Why is the LIS market growing so rapidly here in the United States – more so than it has in the past? In addition to the requirement for labs to remain competitive, there have been a growing number of life threatening diseases sweeping the nation, not to mention a growing number of individuals experiencing allergies and sicknesses. These sicknesses, diseases, and even genetic patterns make it incredibly important for labs to operate efficiently, and to identify trends and patterns, often times even before sickness or disease occurs. In addition, the healthcare industry as a whole is becoming more and more mature with technology used at every turn with the goal of cutting costs, improving the patient experience, and reducing errors across the entire system. Traditionally, labs have lagged behind other functions in healthcare in their use of advanced technology, but the industry is realizing that labs are becoming more and more of an integral part of the entire healthcare process – and therefore, they need to become more innovative. What Should Labs Looks for in an LIS? Your lab needs a central laboratory reporting solution that will adapt across any type of test, device or laboratory to provide your lab, referring physicians and patients with the enhanced reporting that innovative labs now require. In addition, today’s advanced labs need a platform that can easily integrate with other existing systems including EMRs, LIMS, billing systems, lab instruments, and middleware to ensure that all data is available in one single, secure location. When all lab data is stored in a central environment, it allows lab staff to act quickly and with supreme accuracy when creating reports or compiling data for referring physicians or groups. With fewer interruptions, lab staff can stay focused on the important tasks before them. 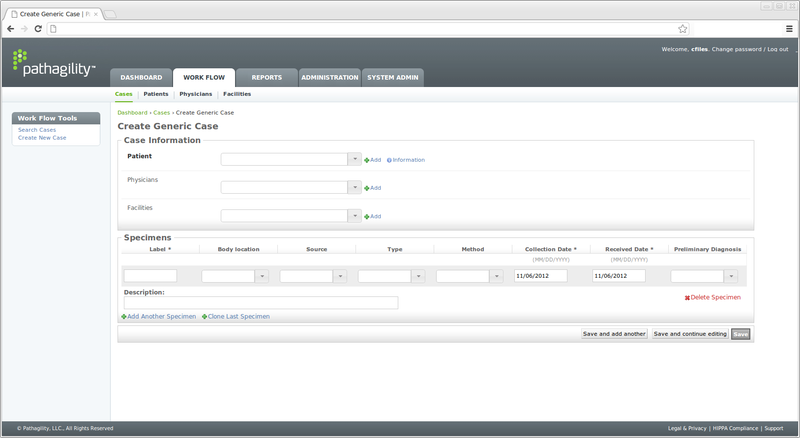 Platforms like Pathagility can provide complete visibility and improve efficiency by helping to manage workflows through a simple and easy-to-use interface. Advanced laboratories need the ability to adapt to changing technology and provide interpretive reporting across existing and emerging tests. Platforms like Pathagility, which can serve as a lab’s LIMS or Interpretive Reporting Software – or both, can dramatically increase the output while simplifying reporting. 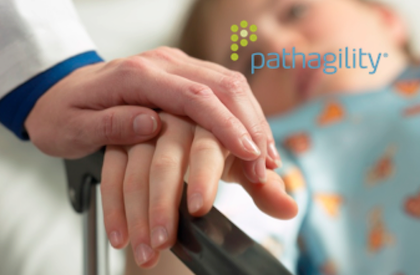 Out of the box, Pathagility provides “Case Types” for Toxicology, Pharmacogenetic (PGx), Anatomic Pathology (AP), Cystic Fibrosis, Wellness, Infectious Disease and other types of Molecular Diagnostic (MDx) testing. Innovative labs are committed to leveraging new technology to help their teams work smarter, faster, and communicate better – both for the benefit of the lab, as well as the patient experience. These labs need complete visibility and improved communication across their workflows and processes. If your lab is currently using multiple systems independently, consider consolidating or integrating technologies to allow for greater efficiency and communication across all lab technology. Platforms like Pathagility can be set-up as a stand-alone or to work in conjunction with existing systems to make all data visible in one location. 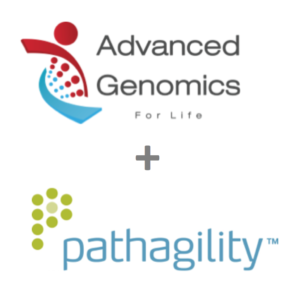 This morning, Pathagility announced a partnership with Advanced Genomics via a press release. Advanced Genomics is a San Antonio-based commercial lab specializing in pharmacogenetic testing. The lab was founded in 2014, and within its first year the lab had over 10,000 Pharmacogenetic patients served. The lab needed a LIMS (Lab Information Management System) and reporting solution customized to fit its own internal processes and manage assorted and unique partner relationships. Additionally, this solution had to ensure legal compliance while generating meaningful customized reports for physicians and patients. 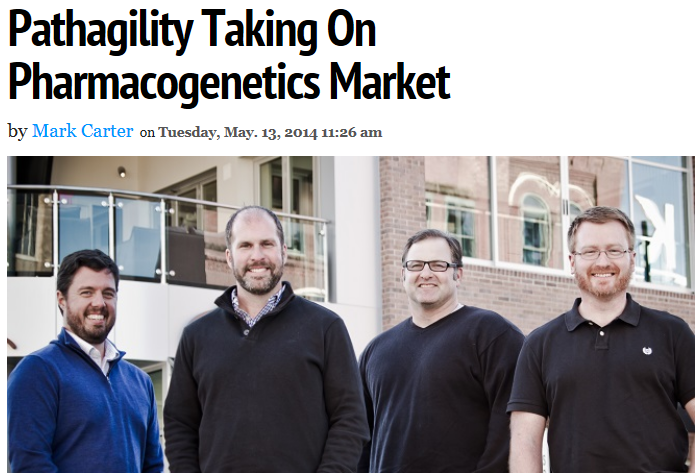 After thorough evaluation, the lab selected Pathagility as its LIMS and reporting partner. 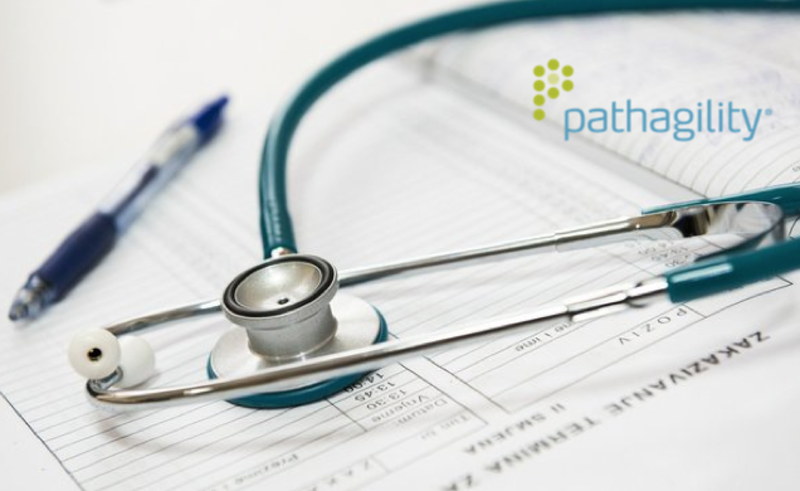 In general terms, Pathagility streamlines operations, allowing the company to better manage their lab partnerships, growing test offerings, federal testing, and large reaching clinical trials. This news is incredibly exciting for our team as Advanced Genomics and many other labs like it are selecting Pathagility as their partner to help them scale and expand operations. If you’d like to read the press release in its entirety, you may access it here.